Hi everyone! It's been almost two weeks since I last posted. My parents were in town and I had so much fun spending time with them. We basically just spent quality time together and did some shopping. They went back home last night, and I was so crushed. Thinking I wouldn't be able to see them every day and had to wait for another year was really not pleasant. My mom brought along with her this awesome lipstick from Anna Sui. This is the only lipstick she brought with her, and she told me over and over how she loved this. I've never seen Anna Sui counter near where I live, so my mom gave me this. I haven't used it long enough to give in-depth review, but she keeps mentioning that this doesn't dry your lips at all, and it is 'feather-free'. And I noticed that too when I tried it on. 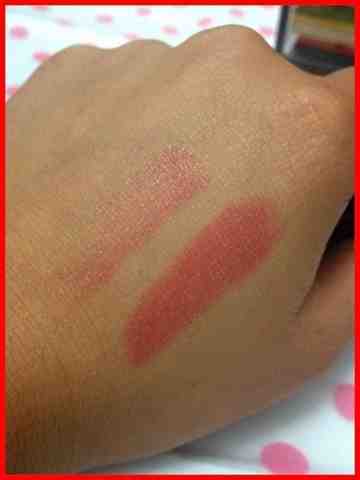 I love the pinkish red shade which is perfect for every day look. Thanks Mom for introducing me this! I have to give props to the packaging. 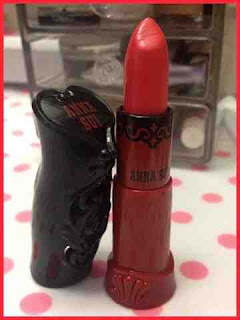 Anna Sui is known for her unique design, and really how unique a tube of lipstick can be?! This packaging is gorgeous and shows how much thought put in the design. Bravo, Anna Sui! The end of May is almost here. I'm planning to do a May favorites soon if time permits. I will be starting to study for my CPA exams real soon. This time is for real, so I don't know how my schedule will be but I'll keep you posted. Thanks for stopping by. Have an awesome week! LOTD: Happy Belated Mother's Day!